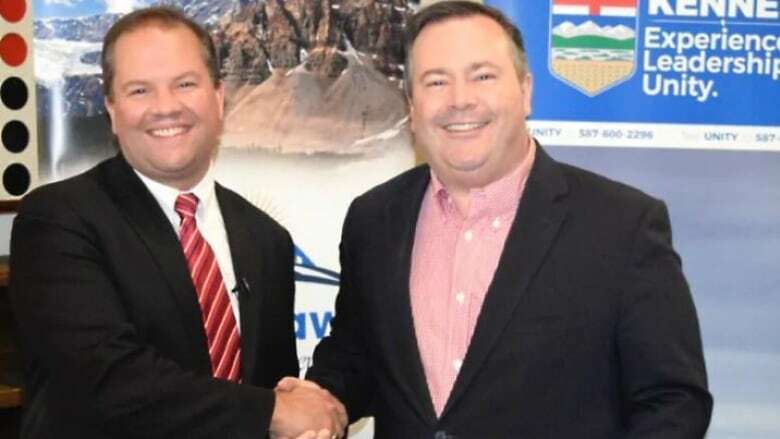 The leadership campaign of Jason Kenney collaborated with fellow candidate Jeff Callaway's campaign during the party's 2017 United Conservative Party leadership race, leaked internal UCP documents obtained by CBC News show. The leaked cache of documents show Kenney's campaign provided Callaway's team with resources including strategic political direction, media and debate talking points, speeches, videos, and attack advertisements, all aimed at undermining Kenney's main political rival, Brian Jean. The documents also show Matt Wolf, a senior Kenney campaign staffer and his current deputy chief of staff, communicated regularly with Callaway's communications manager Cameron Davies, and also on occasion with Callaway's campaign manager, Randy Kerr. A document prepared by Davies for the office of Alberta's election commissioner, with whom he is co-operating, alleges the Kenney campaign made a concerted effort to recruit a "stalking horse" candidate for the specific purpose of attacking Jean, the former Wildrose leader. The documents include several emails between Wolf, Davies, Kerr and sometimes Callaway. 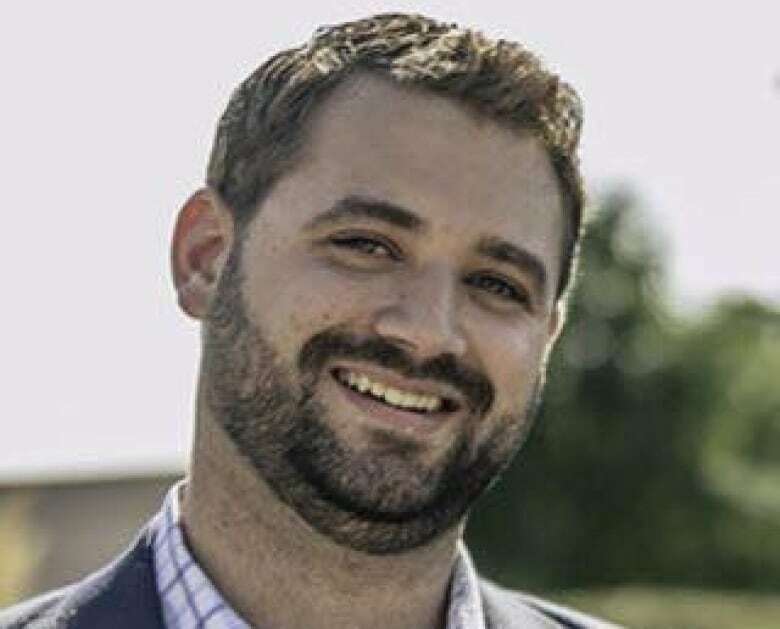 The emails reveal Wolf and the Kenney campaign were providing not just communications support, but also planned, regular strategic political direction throughout Callaway's campaign. "Callaway's withdrawal was something that wasn't necessarily negotiable," Davies said. "It was something that had been decided in a meeting in mid-July between Callaway and the Jason Kenney leadership team." In an Aug. 13, 2017, email entitled, "Week 1 & 2 Comms Draft," Davies wrote to Wolf: "Please review, thoughts appreciated." "The themes I'm pushing for are: Seeds of Doubt (Aug. 14-26); Consistency (Aug. 23 - Sept. 6); Trust (Sept. 1 - Sept. 13)," Davies continued. "Jeff drops (although depending when debates are, you may have other ideas? )," Davies's email to Wolf continues. Davies confirmed to CBC News that was a reference to Callaway's planned withdrawal from the race. The email adds that "by this time we hope Jean has attacked Jeff, lost his cool in a debate or two, gone off script to the media so we can release a series of 'Screamin' Jean' SoundCloud files in which he is screaming at the [executive committee]." Davies's final suggested weekly theme was "Temperament (Sept. 15 - Oct??)" Wolf also provided Callaway's campaign with a suggested speech for Callaway to give when he abruptly quit the race weeks before the vote and endorsed Kenney, the documents show. Following Kenney's landslide win, it was alleged Kenney's campaign ran Callaway as a so-called "kamikaze" candidate to attack and undermine Jean, Kenney's main political rival. On Friday, CBC News revealed RCMP were investigating allegations of irregular political contributions to Callaway's campaign. The police investigation is "not about our campaign; it is about someone else's leadership campaign from 18 months ago," Kenney said Friday at an unrelated news conference, adding later that "all I can tell you is that the campaign that I ran was in full compliance with all of the financial and legal requirements." An emailed statement from UCP executive director Janice Harrington simply repeated the claim made previously by Kenney that there was communication between his campaign and the Callaway campaign and this was "perfectly normal in a preferential ballot election and was within the rules of the 2017 UCP Leadership Election." Harrington also included a statement from another leadership contender, Doug Schweitzer, a lawyer, who said he and his campaign team "kept lines of communications open with all other registered, and prospective candidates in the UCP leadership race. CBC's legislative reporters Kim Trynacity and Michelle Bellefontaine bring you expert analysis and insiders' insight into the week's top Alberta political stories on The Ledge podcast. "Ongoing dialogue across all campaigns is normal throughout leadership races within the same party, especially those with ranked ballots," Schweitzer's statement said. The statement from Harrington doesn't address the fact that Alberta's election commissioner is now conducting an investigation of the connection between the Kenney and Callaway campaigns. Davies told CBC News he is co-operating with investigators from the office of Alberta's election commissioner. He met with them on Friday and gave them a written statement. He had previously been fined $15,000 by the commissioner for obstructing his investigation into the Callaway donations. Through his lawyer, Davies has said he will appeal the fine. Davies told CBC News he has not been contacted by the RCMP, but if he is, he is prepared to "fully comply with whatever requests the RCMP have." Davies confirmed the authenticity of a "timeline of events" he prepared for the election commissioner's investigators that was part of the cache of documents supplied to CBC News. 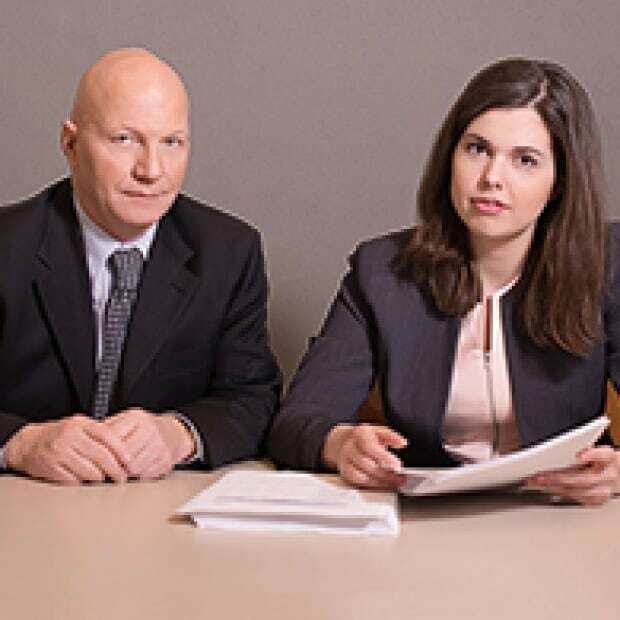 The document details a concerted effort by the Kenney campaign to first recruit and then direct a "dark horse" candidate for the express purpose of attacking Jean. The timeline states that "around early July 2017, a meeting with [then UCP MLA] Derek Fildebrandt was held to inquire if he would be a suitable candidate to run as a dark horse candidate." In December 2018, StarMetro quoted Fildebrandt as saying he sat down with Kenney in the summer of 2017 and the two discussed the possibility of Fildebrandt running "a stalking horse campaign to undermine Mr. Jean." Fildebrandt told the newspaper he decided he did not want to do that. But Davies's timeline says it was determined after several meetings that Fildebrandt was not "suitable" for the role, a conclusion shared by the "Kenney team." 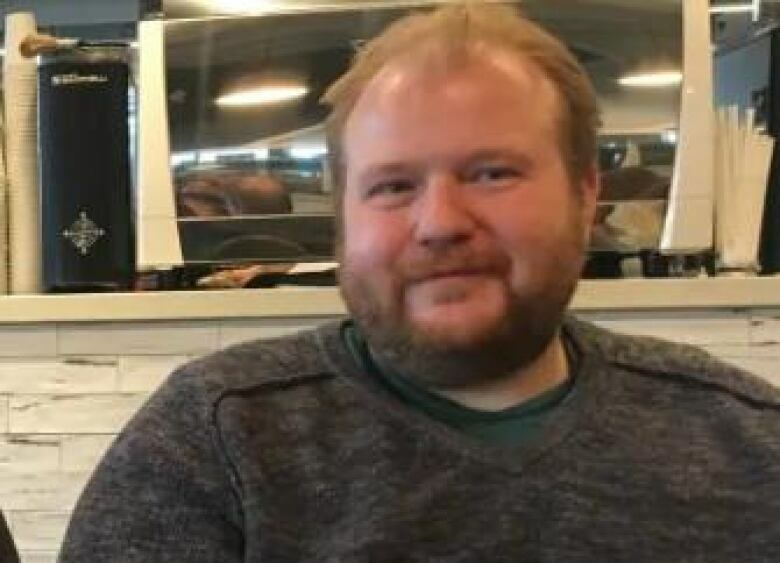 The timeline states that after the Fildebrandt meetings, another meeting was held at Callaway's home attended by Kenney, Callaway, Kenney's current UCP campaign manager John Weissenberger, UCP candidate Happy Mann, and several others. "In this meeting, a discussion occurred around running Jeff Callaway to do what had been originally planned for Derek Fildebrandt," the timeline says. "It was decided that our teams would work together to ensure proper narratives and messaging coincided at various stages of the campaigns. I have attached emails detailing various communiques with instruction for various talking points and communications from the Kenney team." Davies's timeline says he is "not aware of any funding arrangements that may or may not have been made directly between Jeff Callaway and Jason Kenney." It claims Callaway's campaign provided debate tickets to Jason Kenney team members and supporters at three debates. "In each debate, campaigns were allotted a certain number of tickets," the timeline states. "Requests were made by Jason's team for the Callaway team to provide tickets to lists of people who were either members of Jason's team or key supporters they wanted in the audience at each debate." Davies's timeline recounts a meeting at Callaway's house after he dropped out of the race. It says Kenney and 10 other "key members" of Kenney's team were present. "Jason was appreciative of the work the Callaway campaign did, and gave a short thank you to Jeff and the team for their support and efforts," the document states. The emails from Wolf to Callaway's campaign include advertisement graphics and research specifically designed to help the candidate undermine Jean. They also support Davies's statement to the election commissioner that political messaging was co-ordinated at various stages of Callaway's campaign. An email from Wolf to Davies, dated Sept. 6, 2017 — one month before Callaway quit the leadership race — entitled "spit-balling copy" provides a speech for Callaway to give, specifically attacking Jean. "If there is one thing that drives me crazy, it's self-styled 'conservatives' that use the language of the left to attack conservatives," Wolf's messaging for Callaway states. 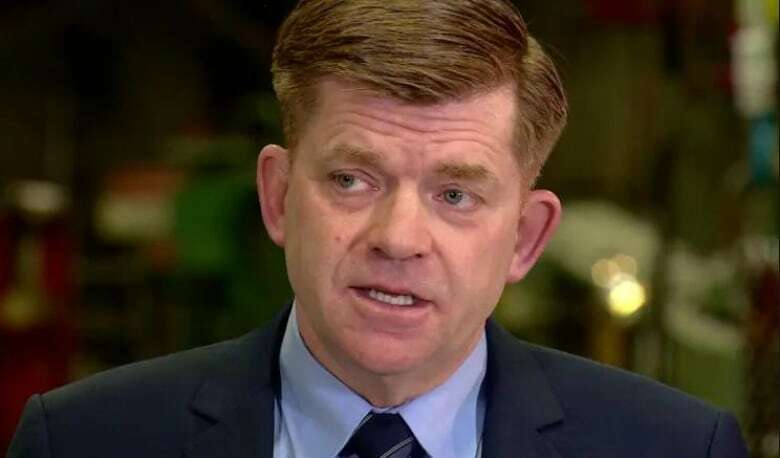 It further suggests Callaway say, "as Wildrose president at the time," he was "extremely disappointed" by comments Jean made to a Calgary newspaper before the referendum that created the United Conservative Party. "Jean says he would cut taxes only when the government has the room to do so," Wolf's messaging later continues, quoting the newspaper. "Hold on. Last time I checked, government is supposed to work for us," Wolf's speech says. "Maybe government should live within its means, rather than taking more and more money out of our pockets." It continues with several further attacks on Jean. Early that morning, emails show Wolf sent Callaway and his campaign managers a suggested script for Callaway's speech announcing the news. "I don't think you need a script to read, but below is the rough outline of what I'd suggest," Wolf wrote. "Tweak as you see fit." His suggested speech for Callaway begins: "I guess it's obvious by my being here that my leadership campaign will not be going forward." A few paragraphs in, Wolf's suggested speech includes a dig at Jean. "There is obviously one candidate in this race that I know very well: I served as Wildrose president during Brian Jean's period as leader. "I see many recognizable faces here today that also served under Brian's leadership, but are noticeably supporting someone else today," the speech says. Wolf's speech suggests Callaway then segue into comments about how he got to know the other candidates better during the race and admires Kenney's leadership and experience. "We need a leader that is consistent in his conservative convictions, a leader that doesn't wildly change his positions depending on which way the wind is blowing. "We need a leader with the fortitude to withstand the onslaught from the NDP and its special-interest friends," the speech continues. "I'm confident that leader is Jason Kenney."